The decision to switch auditors is never an easy one. But it’s smart for Supervisory Committees to evaluate their options every 3-5 years and decide whether to retain their existing auditor or find a new partner. The CPA Guide can help you build a better process for evaluating your options. Callahan & Associates updates this data annually in partnership with the nation’s largest audit firms. 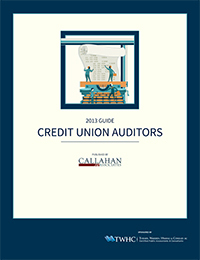 This comprehensive guide is the only resource of its kind available to credit unions. Non-interest income is broken down on the 5300 call Report into only two main categories – fee income and other operating income. Without having a detailed breakdown of the various components of non-interest income, it can be hard for credit unions to gauge how they are raising non-interest income in comparison to their peers. 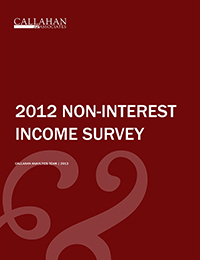 Callahan & Associates’ annual year-end non-interest income survey uncovers trends in non-interest income that are not apparent from the 5300, and can help credit unions have a better picture of this income source. 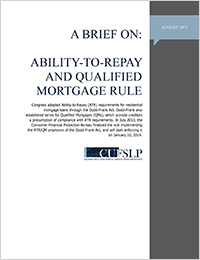 Most credit unions that originate mortgages will have to comply with the ATR/QM rule, set to go into effect on January 10, 2014. The rule will open your credit union to new compliance procedures and potential liabilities. The ATR/QM brief serves as a summary to quickly get you up to speed, giving you an easy to understand definition of ATR and QM, a high level overview of the eight underwriting requirements under ATR, potential liabilities of non-compliance, and the benefits of originating QMs. You may be aware of loan participations, but you might not know how to use them, let alone where to start. Whether you’re interested in learning more about loan participations or are ready to buy or sell, Callahan’s loan participation program manual can get you and your team started. 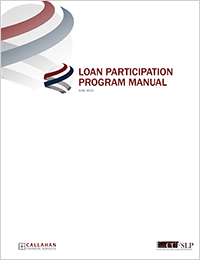 The first section provides an educational overview of loan participations, while the second half of the manual is oriented toward credit unions that are ready to implement a program, offering forms and model documents.